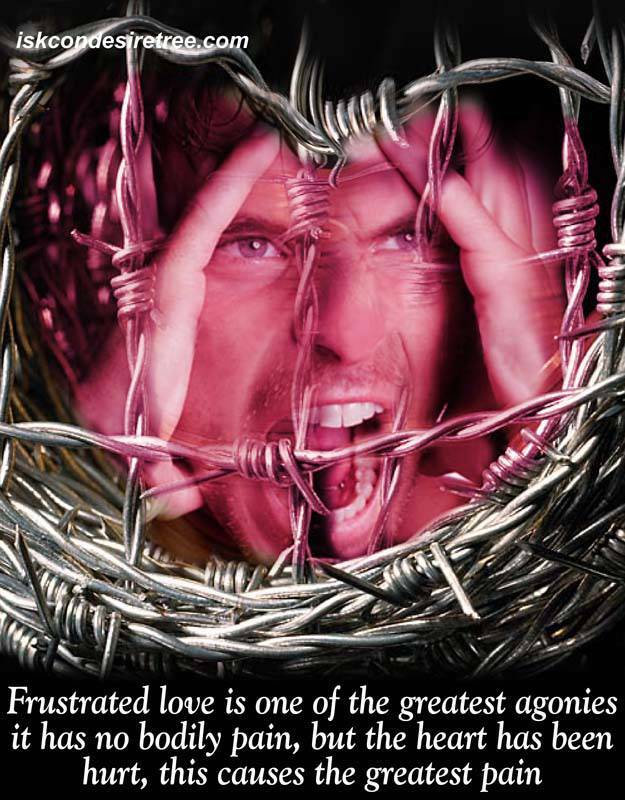 Frustrated love is one of the greatest agonies. It has no bodily pain, but the heart has been hurt, this cause the greatest pain. 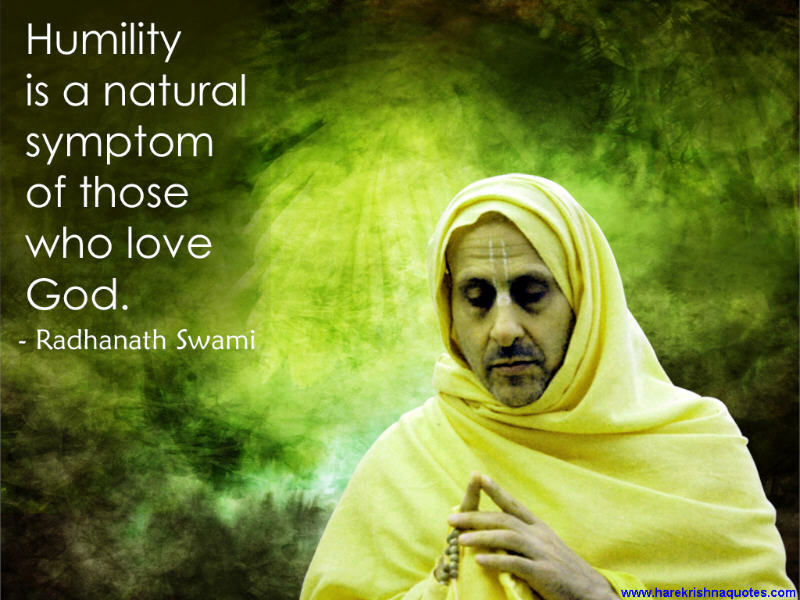 Humility is a natural symptom of those who love God. Krishna Consciousness spreads wisdom and Knowledge. The main force because of which this movement is spreading is love. We are not waiting for death to attain love of God. If we do not develop love of God when we are living, we will not have love of God at the time of death. Once Srila Prabhupada was teaching, how to appreciate the mercy of Lord Gaura Nitai. The mercy is so great that even the rocks melt, even the birds and the animals they crying in separation. After hearing all the philosophy and after everything is explained, of course one can theoretically understand, but still, to really understand, what is love of Krishna? One has to taste it. One can explain what is mango? its, Vitamin-C content, fat content, protein content, carbohydrate content, this vitamin, that vitamin, this fibre, this type of skin, this thickness of skin, this colour, you can get all the details but even you can say this much sugar content this everything, but still it doesn't tell you how it taste like? If you taste it, then you will get another level of understanding what it the mango. What is devotional service has been explained by Rupa Goswami here in Caitanya Caritamrita, but to really understand we need to taste it, even a drop of it and that is possible only by the mercy of Gaura-Nitai because they are so much absorbed in love of Krishna. Flower of love cannot survive in the heart that harbors the weed of selfish greed.